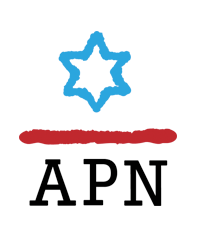 In the context of surging efforts to promote -- and block -- boycott/divestment/sanctions efforts, and in the context of a serious debate within Israel and the Jewish community about how to deal with growing international criticism of Israel, we believe it is important to make clear what APN does, and does not, support. Recently APN called on the Obama Administration to start playing hardball in its Middle East peace efforts. APN believes that playing hardball should not and must not mean taking steps that threaten Israel's security. To the contrary: the US must assure Israel that America and the international community are unequivocally committed to maintaining Israel's security. Indeed, absolute confidence in US support for Israel's security will be essential to give Israelis the confidence necessary to take the risks inherent in any future peace agreement. APN thus categorically opposes calls for the US to cut or threaten to cut military aid to Israel. the use of US diplomatic leverage -- in the bilateral relationship or in multilateral forums -- to press Israel on issues of vital national interests of the US, including settlements. the use of other forms of US leverage -- be they linked to loan guarantees, other forms of non-military aid, other special programs or benefits the US provides Israel, etc. -- to press Israel on issues of vital national interests of the US, including settlements. APN weighs all activism in light of our primary mission and concern: preserving Israel's future and its security and viability as a democracy and a Jewish state. From this mission, we, as a Jewish, Zionist organization, derive our conviction that settlement expansion must stop, the settlement enterprise must be rolled back, and the occupation must end - for the sake of Israel's own security and its own future. Consistent with this mission, APN has long opposed, and continues to oppose, boycott, divestment, and sanctions efforts targeting Israel. We believe such campaigns are misguided and counterproductive. They target the average, innocent Israeli citizen -- who may well support an end to the occupation and a two-state solution -- rather than the Israeli government policies that are ostensibly the target of the campaigns. They have caused many Israelis and supporters of Israel -- people whose voices are vitally needed to oppose the policies that such campaigns target -- to feel compelled to defend Israel, regardless of the policies in question. APN categorically opposes the efforts of organizations and activists whose goal, explicit or implicit, is to undermine Israel's existence. Historically, much of the pressure for BDS campaigns originated with anti-Israel sources not interested in Israeli security concerns or Palestinian behavior, giving rise to concerns about global anti-Semitism and the perception that the campaigns are not truly (or only) about Israeli policies but rather reflect a deep-seated hatred for and rejection of Israel. Consistent with our mission and our convictions, APN has long argued that activism should be targeted across the Green Line separating Israel and the occupied territories. We believe that for their actions to be both effective and morally defensible, activists must make clear, emphatically and unambiguously, that their target is the occupation and its manifestations - like settlements and acts of collective punishment - and not Israel proper, innocent Israeli civilians, or legitimate Israeli security practices. Doing so underscores the fact that such activism is not anti-Israel, but rather is opposed to specific policies and practices related to Israeli behavior in the occupied territories. The window is closing on the two-state solution. All of us who believe peace is possible and believe it is only possible through an end to the occupation and the achievement of a credible, viable two-state solution, can vote with our feet by insisting, adamantly, on the line that separates Israel and the occupied territories. Activism, even if well-intentioned, that blurs this line is misguided and counterproductive. Clearly and unequivocally focusing activism on the territories occupied by Israel in 1967 sends a powerful and unmistakable message to Israelis living on both sides of the Green Line and helps Israelis understand how great a liability the settlements are for their country and their future. APN supports boycotting of settlements and settlement products. For decades we and our colleagues in the Israeli Peace Now movement have strived to make Israelis and non-Israelis alike recognize the threat settlements pose to Israel and to the very possibility of peace and a two-state solution. Unfortunately, too few people have paid attention, have realized the scope and impact of this issue, or have taken action to try to stop the settlement enterprise. Two decades after the start of the peace process, settlements have expanded across the West Bank and East Jerusalem, posing an increasingly lethal threat to the viability and credibility of the two-state solution. The government of Benjamin Netanyahu has adopted policies to exacerbate the problem, opening the floodgates to settlement in East Jerusalem and adopting policies intended to open the floodgates for a huge new wave of settlement construction across the West Bank. APN supports other settlement-focused activism. APN has previously suggested that such activism could include: highlighting the point of origin of products originating in Israeli settlements in the West Bank or Golan Heights, to permit people to make informed choices in their purchasing and consumption; raising awareness about private U.S. funds flowing to settlers and settlements and to explore ways to curb such funding; efforts to exempt products originating in settlements from U.S. preferential trade benefits; and efforts to bar U.S. government purchase of products originating in settlements. APN recognizes that there is a growing movement seeking to focus boycott and divestment efforts on settlements and the occupation. This effort, which is supported by activists who are neither anti-Israel nor anti-Semitic, is gaining traction as a direct consequence of Israeli policies that are deepening the occupation to the point of potential irreversibility in the near term, in tandem with the apparent inability or unwillingness of governments around the world to in any meaningful way challenge these policies. APN believes that activists who seek to focus boycott and divestment efforts squarely on the occupation and settlements deserve credit. Indeed, APN long ago suggested that activists focus on opportunities for people to "invest for peace" - supporting companies and projects whose work is consistent with peace, coexistence, and the two-state solution to the Israeli- Palestinian conflict - and on raising awareness about companies based in or operating in settlements, to permit people to make informed choices about their investment options. APN recognizes that some companies play a role in enabling the occupation and supporting settlements. Some do so directly, for example by investing in settlements; others do so indirectly and perhaps unknowingly - for example through the sale of equipment used both in Israel and in settlements. APN believes it is legitimate for activists to press companies to adopt practices that deny support to settlements and the occupation, including through targeted boycotts and divestment. Narrowly targeting such activism presents serious challenges. Absent a peace agreement, Israel has undeniable security needs related to the occupied territories, for example, securing its border with Jordan and preventing terrorism emanating from the West Bank into Israel. In many cases, like these, the line between contributing to the occupation and permitting Israel to address legitimate security concerns is not clear. Nonetheless, if careful enough distinctions are drawn, such activism can advance the goals of ending the occupation and promoting peace and a negotiated two-state solution to the Israeli-Palestinian conflict. The legitimacy and effectiveness of settlement- and occupation-focused activism will be a function of how its proponents address these challenges. To the extent that occupation/settlement-targeted divestment efforts can be portrayed by critics as ignoring or dismissing Israel's legitimate security needs, or as blurring the line between Israel and the occupied territories, they have the potential to be as problematic and counterproductive as divestment efforts directly targeting Israel. Moreover, they risk playing into the hands of settlers and their supporters who gladly blur this same line and who are eager to denounce all anti-settlement and anti-occupation activism as anti-Israel and anti-Semitic. Criticism of Israeli policies and actions must be judged on its content. It is both true and deeply troubling that anti-Israel and anti-Semitic sentiment may be cloaked in criticism of specific Israeli government policies and actions. At the same time, it is both true and deeply troubling that some Israeli policies and actions merit legitimate and harsh criticism. The notion that Israel's best defense is a good offense -- that supporters of Israel are better off attacking Israel's critics and blindly defending Israeli behavior, rather than taking an honest look at Israel's policies and actions -- should trouble anyone who cares about the character of Israel's society and Israel's democracy. efforts aimed at stifling critical reporting of Israel in the international media.